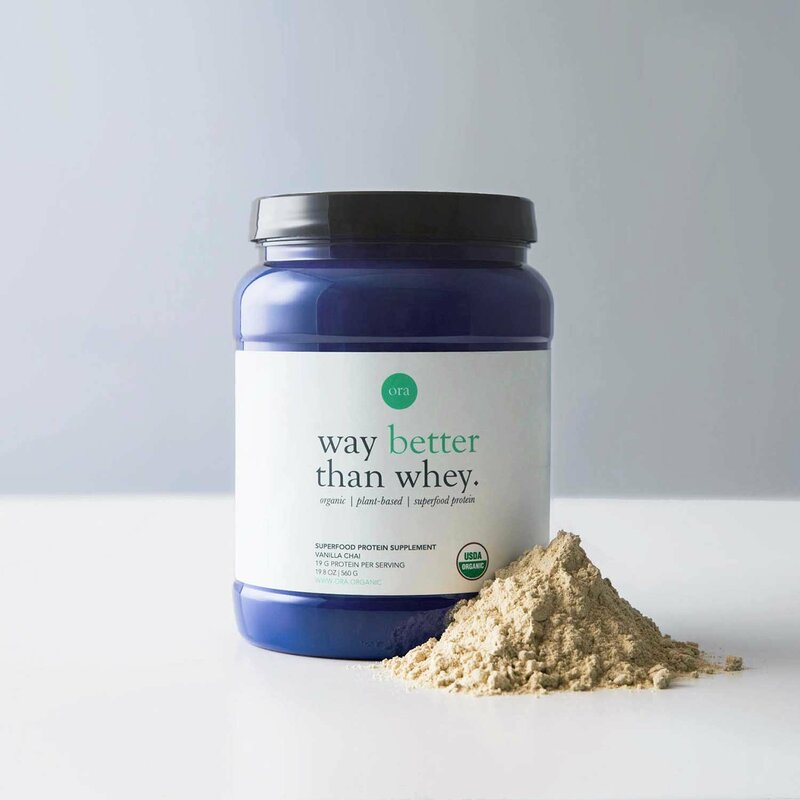 Finally, a protein powder that truly fits all of my standards and needs! 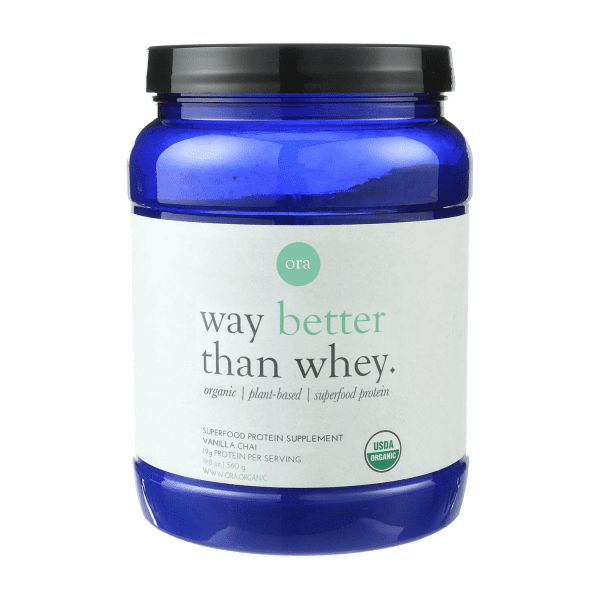 Meet Way Better Than Whey by Ora Organic, a delicious, plant-based protein powder that not only tastes beyond delicious, it is so mindfully made, I could not be more excited to have found this line! 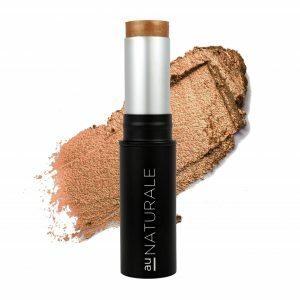 Made entirely Vegan, Gluten Free, Non-GMO and Soy-Free, I knew I had to carry this line as soon as I came across it as it truly is the cleanest and best tasting I have found thus far. 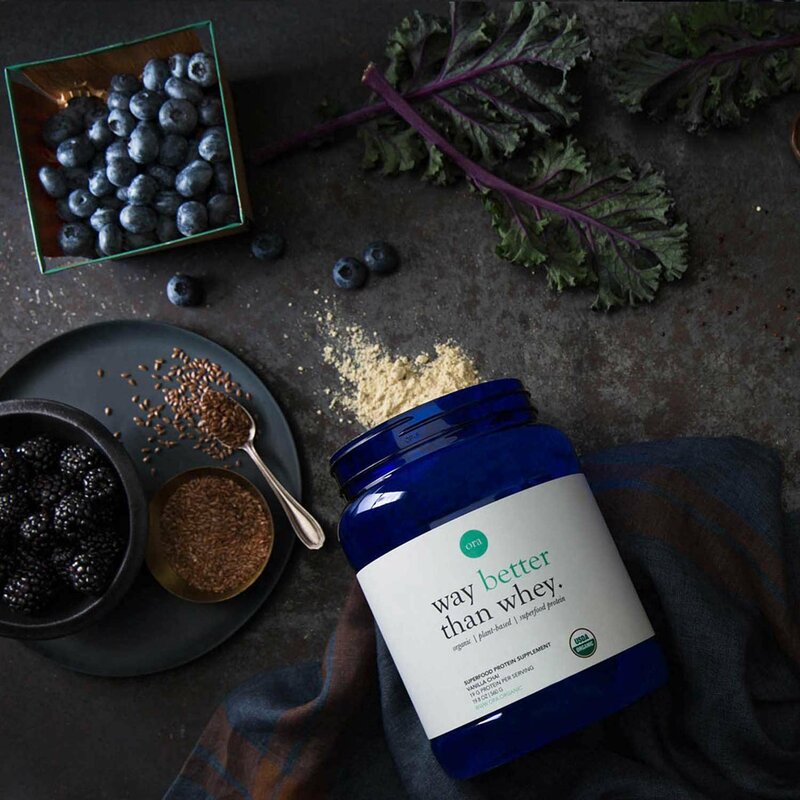 With just 110 calories per serving, 1g of sugar, 19g of protein and beneficial Vitamin A, C and K, this stuff is an amazing option for anyone in need of a clean form of plant protein each day. Not sure why you need protein each day? 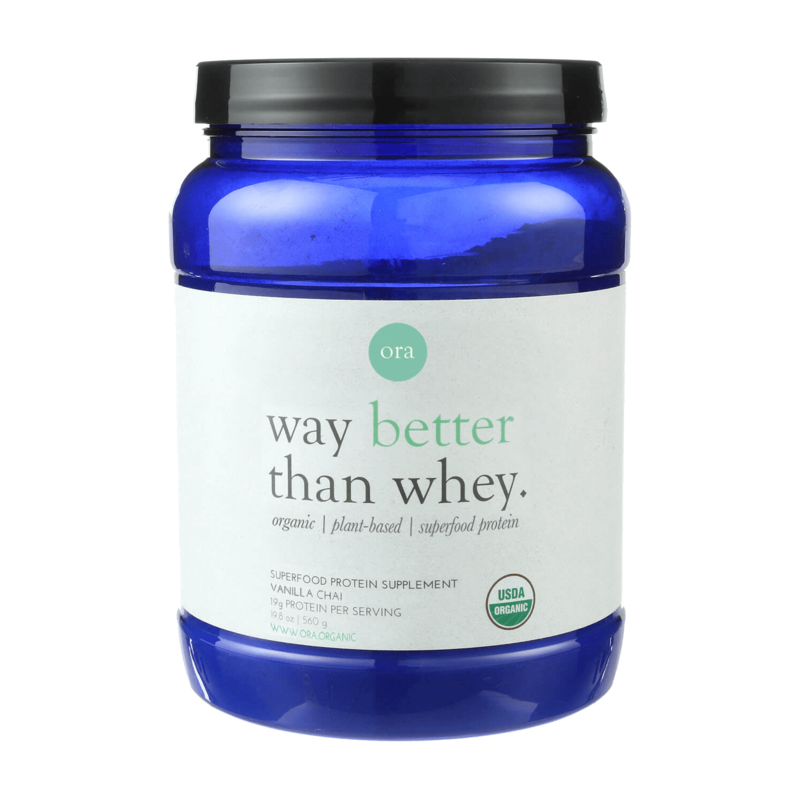 Protein supports optimal bodily function, muscle recovery and growth, as well as skin, nail and hair health. Proper protein intake allows our bodies to put together the structures that make up every cell, tissue, and organ, as well as generate the biochemical substances needed for cardiovascular function, muscle contraction, growth, and healing. 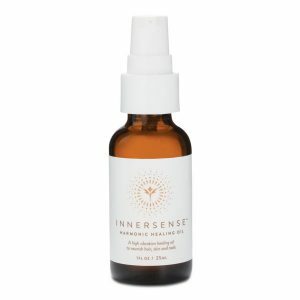 This product also contains the digestive enzymes amylase, protease, cellulase, lactase and lipase, a full spectrum of digestive enzymes to help breakdown all forms of nutrients and aids in digestion and bioavailability! 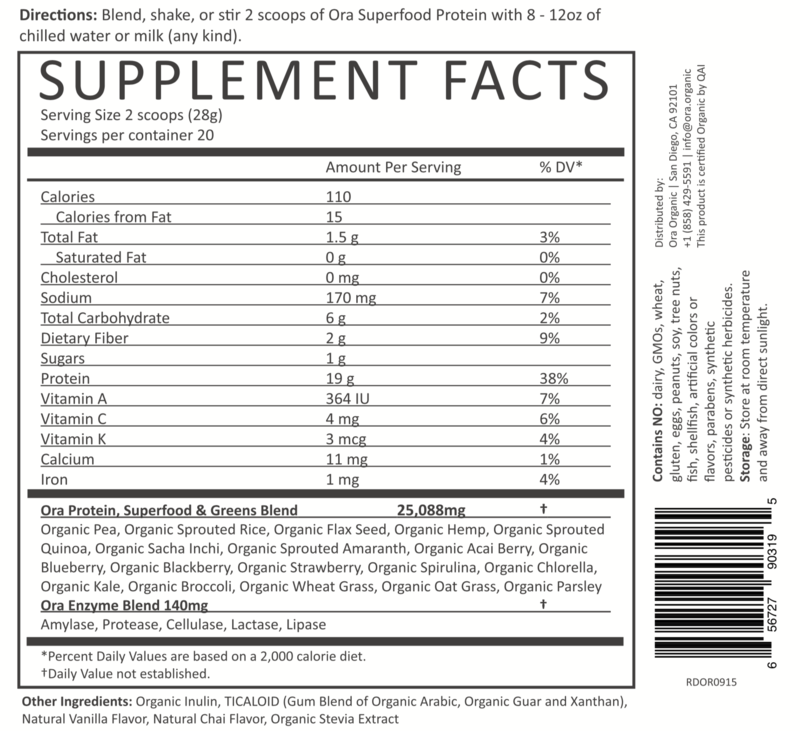 To Use- Take your favorite chilled beverage like water or nut milk and add 2 scoops of this powder. I personally prefer blending it with almond or cashew milk and then tossing in a handful of ice for a more frosty texture! 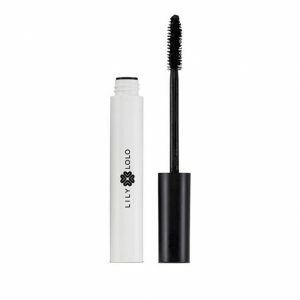 This contains Organic Stevia so it’s plenty of sweet on it’s own, no need to add sweetner!